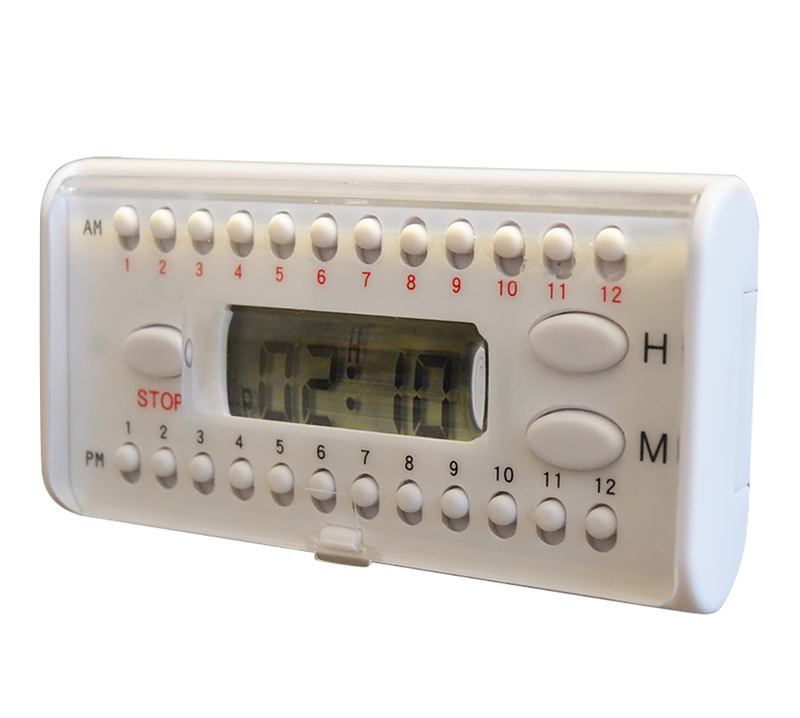 Easy-to-Set Kitchen Pill Timer can Remind you to Take your Medications up to 6 times per day. The e-pill Multi-Alarm HOME Medication Reminder fits on your refrigerator door on any magnetic surface. 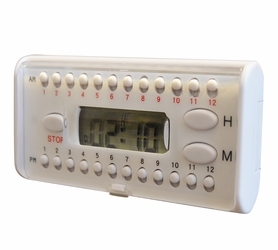 This Easy-to-Set Kitchen Pill Timer can remind you to take your medications up to 6 times per day by a loud beeping alarm that repeats automatically every day. 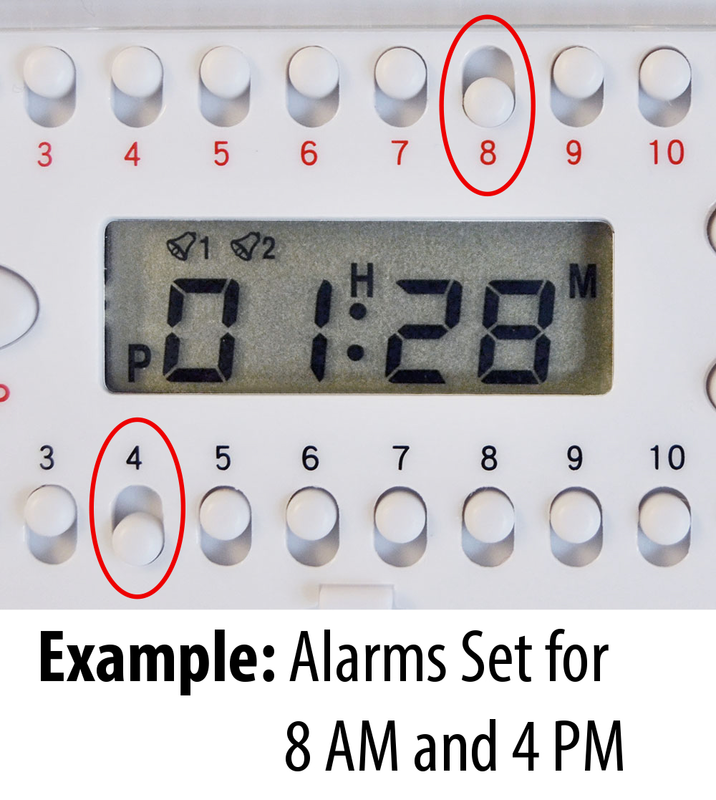 The alarm can be set for once every hour (on the hour). Great for every family member's medications including any pet medications. Popular e-pill for children or any family member who needs to take medications or be reminded multiple times per day (start homework, walk a pet, go to soccer practice etc). Once the alarms have been set they will repeat every day, no reset required. When the Alarm Goes off Take your Medications/ Complete a Task. Press STOP to silence alarm. The alarm will sound for 15 Seconds. It will Sound Again if the STOP button has not been pressed after 5 minutes.